When Sayyed Nasrallah advises the Jews on the anniversary of Ashura to leave occupied Palestine immediately, do we say that the war is imminent? 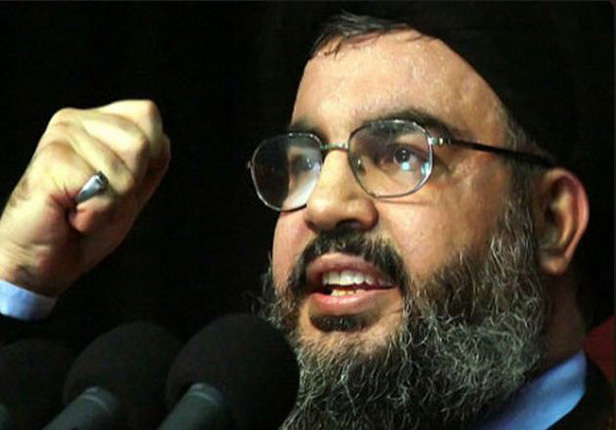 What secrets does the Hezbollah leader know that no one else does? Will it be in response to the division of Iraq and the fragmentation of the region, or to Trump's withdrawal from the nuclear agreement? Sayyed Hassan Nasrallah's speech delivered yesterday amidst a huge gathering on the anniversary of the 10th of Muharram (Ashura), is not like all his previous speeches. This speech contained warnings, predictions, and frank, clear and strong stances, suitable in our opinion, to predict the future of the Arab region and what it could witness including wars as well as major changes in its borders. For the first time, Sayyed Nasrallah differentiated between Zionism and Judaism. The former is a racist occupation movement and the second is a heavenly religion worthy of respect. He stressed that the battle is with the Zionists and not with the Jews, but warned the Jews not to fall victim to American schemes that want them to be the fuel for future wars in the region. Sayyed Nasrallah always spoke about future wars in all of his previous speeches. This is what is expected from the leader of a resistance movement that has fought and engaged in wars, directly and indirectly, with the "Israeli" occupation state and its agents. But what is new in this speech, on the day of Ashura, the day of sacrifice and defending the oppressed, is him talking about the war as if it will start tomorrow, or at any time when he said, "Netanyahu's government is planning a war, and if they ignite it, they do not know where it will end and what areas it will include." He explained this point clearly when he said, "Netanyahu failed to prevent the nuclear agreement from being reached, and is now working with President Donald Trump to push the region into a new war." The resistance movement, i.e. Hezbollah, is a movement of institutions, banks of minds, research and monitoring centers. It is closer to being a state structure than a resistance movement. It maintains strong alliances with major regional powers such as Iran. It must possess information and assessment studies making it capable of building its defensive and offensive strategies accordingly. When Sayyed Nasrallah calls upon the Jews to leave Palestine and head to the countries they came from (a new tone that no one else would dare to use these days from the Arab leaders), so they would not be the fuel for any war that the "idiotic" Netanyahu government is dragging them into, and warns them that there might not be time for them to leave occupied Palestine and have no secure place in it, this does not come within the framework of a psychological war which is a legitimate war. But it comes within the framework of those who are planning to wage a war that they believe is imminent. Sayyed Nasrallah's warnings must be examined in the context of the decision taken by US President Trump to withdraw from the nuclear deal under the pretext of Iran's non-compliance with its terms. The decision is due to be announced mid-October during its periodic review in the US Congress. The American withdrawal from the nuclear deal is a declaration of war, because it will restore the economic sanctions imposed on Iran to its pre-signing stage. This will prompt Iran to respond back by enriching uranium at high levels, making the prospects of a military confrontation more likely than ever before, especially with the end of the war on terror. "Israeli" estimates say there are more than 100,000 rockets in the possession of Hezbollah as well as tens of thousands of artillery shells. Not to mention that three or four times that number is in the Iranian-Syrian military arsenal as well. A large portion will rain down on Jewish communities in Occupied Palestine. That is what Sayyed Nasrallah, who knows well the secrets and capabilities of these missiles, meant when he urged them - the Jews - to leave as soon as possible. We do not argue at all about the importance of Sayyed Nasrallah's statement that the independence of Iraqi Kurdistan is an American plot to divide and fragment the region. This division will not be confined to Iraq and may extend to Saudi Arabia and other Arab and Middle Eastern countries. But we do believe that the next war, in accordance with his speech, will unfold on Palestinian land, striking this American-"Israeli" separation plan at its source, or on its head - the "Israeli" occupation state. It is a serious speech from a man who does what he says and has triumphed every war he fought, from the war of liberating southern Lebanon in 2000 to the July 2006 war that humiliated the "Israeli" army and its political and military leadership. "Israel" is inciting America to war, using two cards - the independence of northern Iraq and the Iranian nuclear agreement - as an excuse and a cover. Let it do it. It is committing the sin of a lifetime. It is short-lived anyway, and the next war if it ignites will not stop and will be fiercer than all previous wars, if not the last war in the region. Anyone who puts himself in the place of the Jews in occupied Palestine, must read this speech and between the lines as well, and more than once. We repeat once again that this man does what he says and has triumphed every war he fought. This is his history or his track record, which is considered key in assessing the identity of people and their personalities in the West in particular. We just have to wait and see.